Chris de Haer's Australian Stamp Blog: Northern Territory PPE becomes a PSE! Northern Territory PPE becomes a PSE! 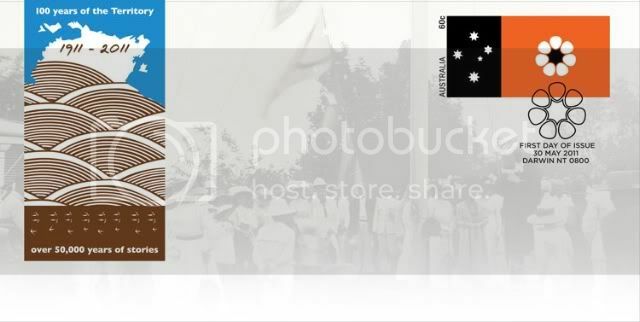 Today's prepaid envelope for the centenary of the Northern Territory has become a prestamped envelope! As a result it has it's own first day of issue postmark (as shown above). The postmarked envelope is not listed online, and may only be available by phoning up the Philatelic Bureau. Colleen of OzPictormarks has also advised that Darwin is holding the postmarker for those wanting to get their own prepaid envelopes cancelled.